As FCP (Final Cut Pro) and FCE (Final Cut Express) can only recognize a few file formats like DV, MOV, M4V, MP4 and some AVI files from cams, your flash videos downloaded from video sharing sites could not be directly imported to FCP/FCE for editing. You need to firstly convert FLV/F4V videos to FCP friendly videos on Mac and then you could import the FLV/F4V videos (converted) to FCP or FCE to customize them. An FLV to FCP converter for Mac is needed in such case. 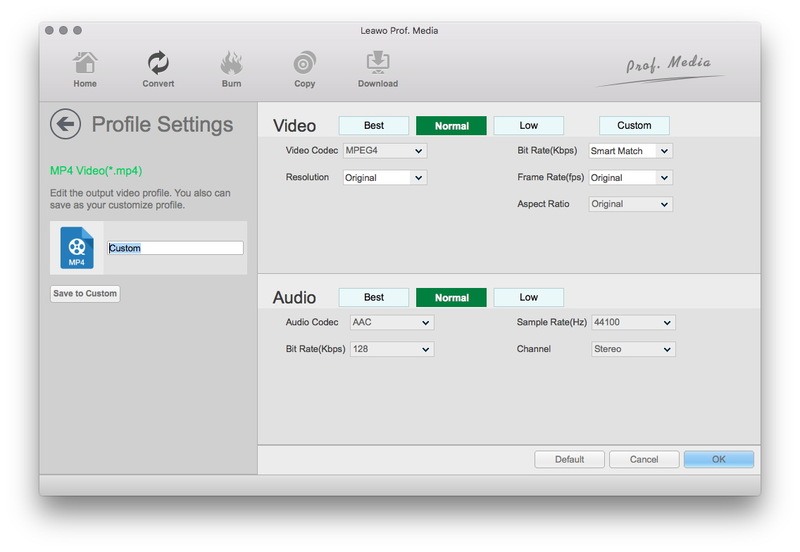 Here in this post, 2 solutions for converting FLV to Final Cut Pro are introduced. 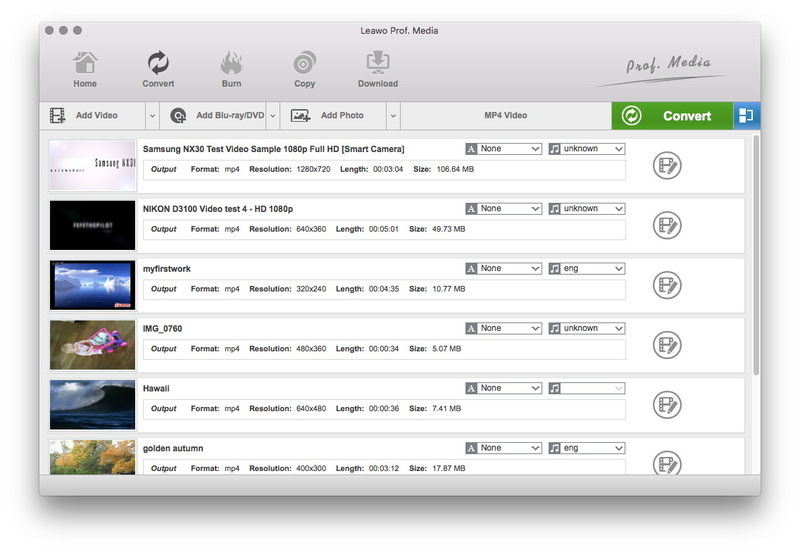 Leawo Video Converter for Mac, a professional Mac based FLV/F4V video converter that could convert FLV/F4V videos to FCP/FCE compatible videos in only a few clicks. With this Mac video converter, you could easily import FLV to Final Cut Pro on Mac after conversion. 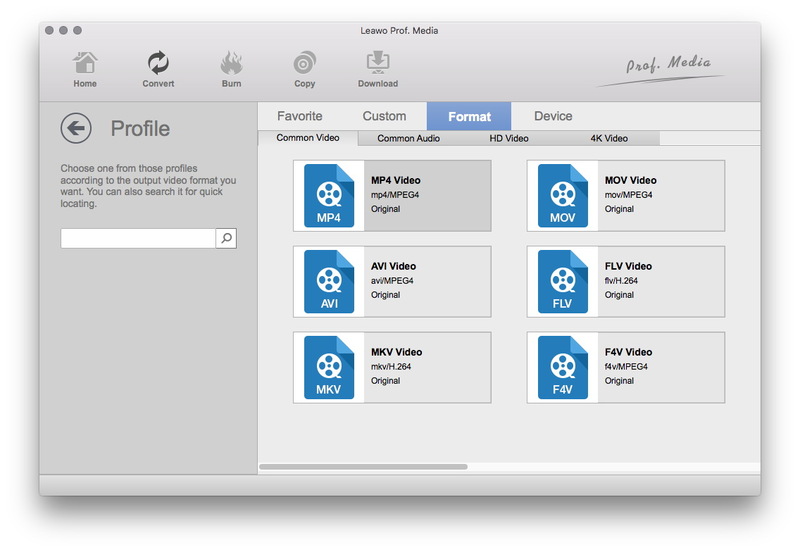 Download and install this Mac FLV to FCP converter, and follow the guide below to convert FLV/F4V to FCP on Mac. 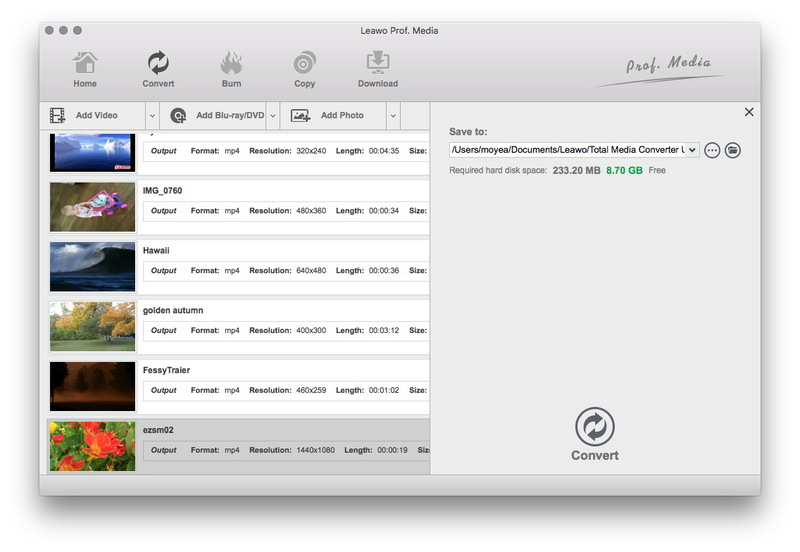 Under the “Convert” module, click the “Add Video” button to browse and choose source FLV/F4V video files or directlry drag and drop source FLV/F4V video files that you’ve stored on your Mac into this FLV to FCP converter Mac. You could get all information on the left processing list, import multiple FLV/F4V video files for batch FLV/F4V to FCP conversion, edit loaded FLV/F4V video files, add 3D effect, etc. After importing source FLV/F4V files, click the drop-down box right before the big green “Convert” button and then select “Change” option on the drop-down panel to enter the Profile window for output format setting. As FCP (Final Cut Pro) and FCE (Final Cut Express) can only recognize a few file formats like DV, MOV, M4V, MP4 and some AVI files from cams, you should select one from them. MP4 or MOV from “Common Video” is highly recommended. Optional: If you’re not satisfied with the video and audio parameters of preset FLV format like video codec, bit rate, aspect ratio, quality, frame rate, audio codec, audio quality, audio bit rate, sample rate and channel, you could reset them. After setting output format, re-open the drop-down box and then select “Edit” option to enter the Profile Settings panel. On the Profile Setting panel, you could freely set the parameters. Finally, click the bottom “Convert” button of the sidebar to start converting FLV/F4V to Final Cut Pro on Mac. 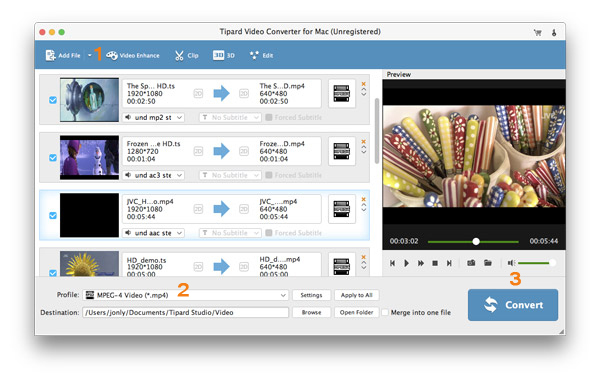 In addition to Leawo Video Converter for Mac, you can try Tipard Video Converter for Mac to convert FLV to Final Cut Pro on Mac. Check out the guide below to know the detailed steps. Click the “Add File” button at the left side of top toolbar, browse and select the FLV video file you want to add to the program window. Head to the top toolbar, and click “Profile” drop-down list at the bottom left side to choose “MOV” as output format as MOV is compatible perfectly with Final Cut Pro. Press the “Destination” button at the lower left side of screen, it will ask you to specify a local folder in which you wish to save the result video and select the name of the video. After that, hit the blue “Convert” button to begin the conversion from FLV to FCP on Mac. Video: *.mpg, *.h264, *.mp4, *.m4v, *.wmv, *.mov, *.avi, *.3gp, *.mod, *.qt *.3g2, *.flv, *.asf, *.dv, *.amv, *.vob, *.divx, *.mkv, *.dvr, *mjpg, *.mjpeg, *.mpeg, etc. Video: *.mp4, *.mov, *.mpg, *.avi, *.vob, *.mkv, *.wmv, *.m4v, *.webm, *.asf, *.flv, *.swf, *.rm, *.3gp, *.3g2, *.dv, *.ts, *.webm, *.ogv, etc. Audio: *.aac, *.m4a, *.ac3, *.mp3, *.wma, etc.